The Victoria Mansion is a great example of pre-Civil War grandeur. It is also known as the Morse-Libby House and was built from 1858 to 1860. Mr. Morse was a Maine native who made his fortune in New Orleans as the proprietor of luxury hotels. The Portland house would be their summer house. After Morse died, the house and furnishings were sold to a local dry goods merchant. The Libby family preserved the original decor and they occupied the house until 1929. The house was damaged in a hurricane in 1938 and was scheduled to be demolished and replaced by a gas station in 1940. Thank goodness, retired educator Dr. William Holmes purchased the property to save it. He and his sister opened the building to the public. 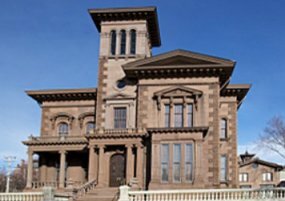 Victoria Mansion was designated a National Historic Landmark in 1970. 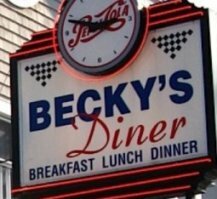 Neil saw this place on Diners, Drive-Ins and Dives. Sure enough, it doesn't take much research before you know this place is one of those "must go to places." 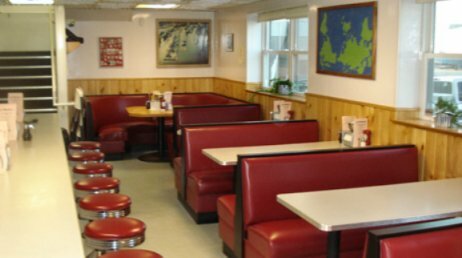 We sat in that back corner booth. What do you do when it's raining and you realize you've seen all the lighthouses on the agenda? Well, right across from our hotel is Shipyard Brewing Co. We were driving back from Becky's Diner, taking in some damp scenery. Then we decided to pay the brewery a visit. We could not actually take a tour of the brewery, but they had a tasting room, gift shop, and history movie area. We were happy campers. Dana sent emails from spring 2015 through the summer asking about tours of the Kotzchmar Organ. It didn't seem their website info about "just email us" worked. Then in September Dana called and she told her dilemma -- we just want a tour of the organ and we only have 6, not 10 people. Dana was excited to get an email a week later stating that we could have a tour on Friday between 5 and 7pm. It wasn't until we arrived at Merrill Auditorium that Dana realized our tour guide was Ray Cornils, the Municpal Organist and master of the organ. We were in for a treat. The Kotzschmar Organ was a gift from Cyrus Curtis in 1912. It was the second largest organ in the world when it was installed. Since then there have been several renovations, the latest started in 2012. 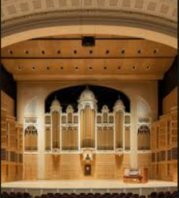 Today the organ has 102 ranks (a group of pipes responsible for one octave) and 6,862 pipes in eight divisions, two of which emanate from the rear of the auditorium. We have an uncanny knack for saving the best for last. 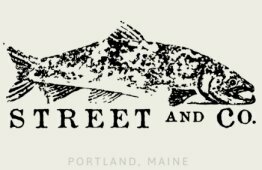 As we reviewed all the top restaurants in the Portland area, it seemed Street & Co. got mentioned over and over. All of us love seafood, and this restaurant focused on fresh seafood with a love for your Mediterranean flavors. The building is an old warehouse in a cobblestone alley. The modern kitchen is totally viewable by the diners -- like a wide screen TV.